Eosinophilic Esophagitis (EoE) is an allergic/immune condition affecting the tissues of the esophagus. Patients suffering from EoE develop large numbers of white blood cells in these tissues, which can cause the esophagus to narrow to the point where it is difficult or even impossible to swallow food. Because EoE is an immune condition commonly found in atopic individuals, visiting a skilled allergist for a diagnosis is wise. An atopic individual is someone who has a family history of allergies plus symptoms of at least one allergic disorder such as allergic asthma, hay fever, or food allergy. At Allergy, Asthma, & Immunology Medical Group, we can provide allergy testing to check for all the possible allergic triggers of EoE, including food and environmental allergies. 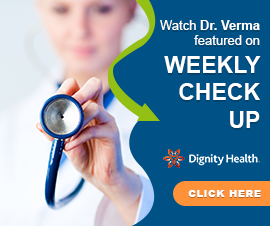 This information will be vital in helping your doctors to provide a treatment plan for your EoE. In order to treat EoE, we must address not only the reflux but also the concomitant allergy symptoms and the allergic triggers of those symptoms. Your allergist can help by prescribing treatments with proton pump inhibitors and topical steroid medications. We can also recommend trial elimination diets to eliminate possible food allergies. These diets will be designed with the aid of a dietician when necessary. Looking for a partner to help with the management of your Eosinophilic Esophagitis? 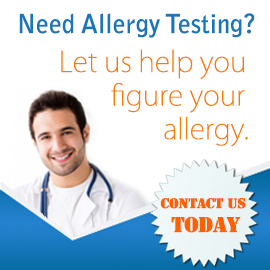 Contact the expert allergists at the Allergy, Asthma, & Immunology Medical Group today.